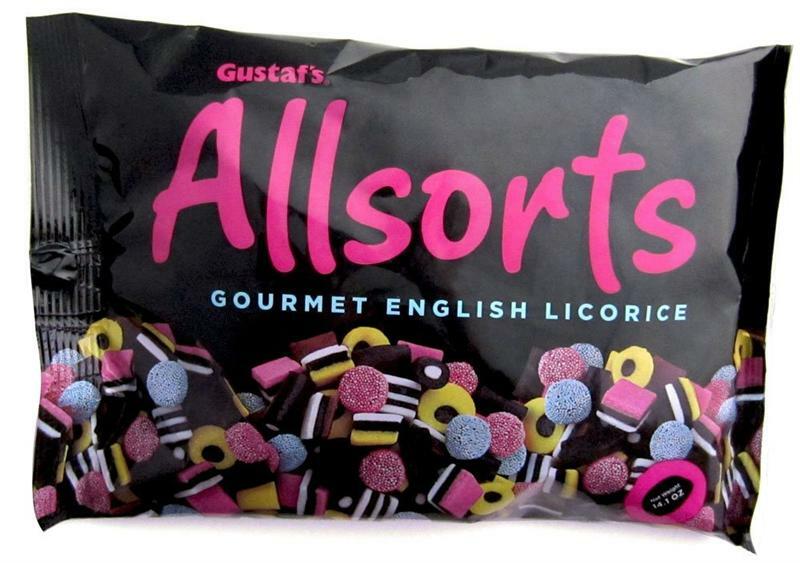 Allsorts licorice from Gustaf's is sweet licorice in different shapes, colors and layers. Allsorts licorice is not only tasty but fun to eat as well. 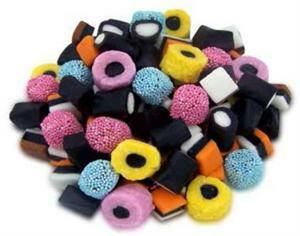 Mixed licorice shapes include licorice straws, sandwiches and soft licorice buttons. Imported from England. Sugar, glucose syrup, wheat flour, molasses, hydrogenated palm kernel oil, invert sugar, coconut, caramel, gelatin (from reef), licorice powder, corn starch, cocoa powder, modified starch, salt, glycerol, monostearate, artificial flavors, artificial colors. 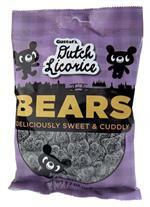 Gustafs sweet and soft licorice bears dusted in cane sugar are now in a perfect size for impulse snacking. 5 ounce bag. Imported from Holland.